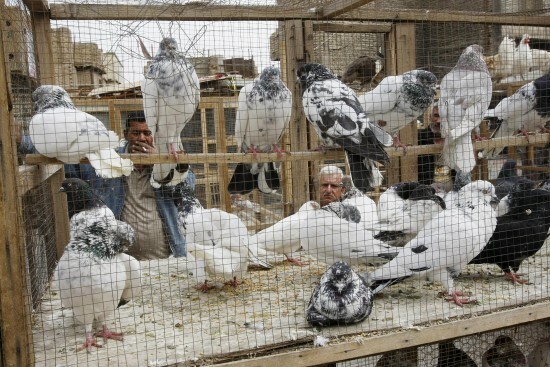 ISIS militants have reportedly captured at least 15 pigeon breeders in Iraq after deciding it is against Islamic religion to keep birds. Three of those held by the group in the eastern province of Diyala have reportedly been killed, according to a security official. Abu Abdullah, a farmer, said a total of six gunmen barged into his home earlier this week and dragged away his 21-year-old son. Mr Abdullah’s son is just one of the 15 young men – all aged between 16 and 22 – who have reportedly been captured in the province for breeding birds. Pigeon breeding is a popular hobby in the region, but it is said to be frowned upon by extremist Islamist fighters because they believe it is a distraction from worshipping Allah.